His skills are enhanced through extensive experience, knowledge and continued research in the coaching fields. When working with adults and children, Oliver uses a wide range of equipment and techniques that are designed specifically to meet an individual’s needs. Subscribe to the Oliver Cross Golf Youtube channel to receive free tips, drills and advice to help you better your game. From putting challenges to getting the right distance with your wedges, Oliver covers everything you will need on the course. Book an initial one hour assessment or a 45 minute lesson today. Each session includes state-of-the-art video analysis and a written summary of your lesson. Oliver is based at Brough Golf Club, if you would like directions or have any questions before before you book a lesson, get in touch below. A quick email to thank you very much for a fun and instructive day on Friday. I thoroughly enjoyed it. It was also useful to appreciate that other golfers also have their own difficulties and to have a group instruction helped to know how to resolve and correct them. It was amazing how quickly the time passed. Thank you again for a fun day. I have known this young man for many years watching him grow up into a very rounded adult. He has the right approach to others which will allow him to go far in his chosen profession, his golfing ability is improving year on year. 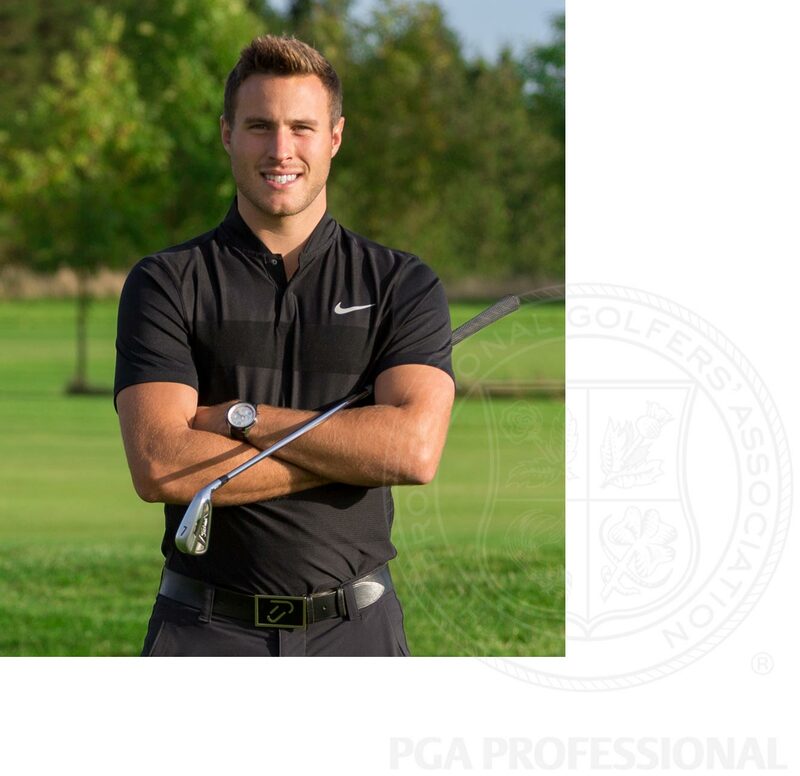 Oliver is extremely proactive and pleasant in both the pro shop and when teaching. He is patient and does not over complicate lessons or advice on how to improve. He is an asset to any golf club environment. Oliver is very dedicated to improving my game throughout the last year. He has a tremendous patience, knowledge and work ethic in every lesson. My game has improved with Olly’s passion which has made my passion for the game even higher. Oliver is a consummate professional in all areas of teaching, he has a style that is easy to understand and he has improved my game in every area. He is always happy and welcoming and always makes every lesson a pleasure. He is also very knowledgeable in the pro shop and always professional. Oliver is a true professional in every aspect of teaching. He is very patient and has made my lessons simple rather than complicated, so being that my handicap has reduced by six shots in a year. I have found Oliver to be a very professional person in all aspects of his golf coaching. He is very approachable, friendly and helpful in the way he converses with his pupils. I have found that he adapts his approach to suit individual needs and is keen to ensure his pupils understand each aspect of the coaching to enable them to develop their skills.